Jampacked schedules, information overload and feeling burned out can leave you just trying to get through the day. It’s easy to lose sight of meaning – why you do what you do – what allows you to feel engaged and motivated. Being engaged has a positive impact on your life beyond your job. Engaged people are more enthusiastic, inspired and confident. Sadly only 29% of the workforce feels engaged at work. So how do you bring back the magic when you’ve lost it? 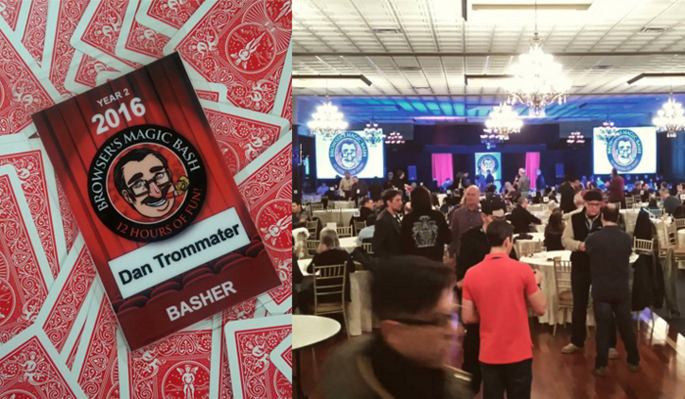 In this last month, I’ve had the opportunity to get out of my daily routine with a vacation, some travel for keynotes and by attending a magic convention. Now that I’m back to my usual routine, I’m feeling more connected to my roots of why I do what I do, and I’m more inspired to explore and create more ideas to share. I got into magic because of the sense of wonder – not only getting to experience wonder, but to share it with others. But after a few years of performing magic professionally, I started to lose that spark. I forgot how powerful magic could be because it became commonplace for me. When we lose sight of why we do what we do, it’s important to rekindle the flame, so I decided to seek out some good magic right in my hometown. The Browser’s Bash was a one day gathering here in Toronto where magicians of all levels got together to share ideas, show off and geek out about magic. I got to watch some incredible, eye-popping magic, meet one of my all-time favorite magicians and even get badly fooled. Getting to see other magicians perform different styles of magic to my own is inspiring and reminds me of what my audience experiences all the time. No matter your profession, it pays to go back and be reminded why you became passionate about what you do for a living so you can continue to move forward without burning out. Prior to my career as a speaker/magician, I was a professional photographer. Even though photography isn’t what I do for a living anymore, I look to the world of photography for inspiration and motivation. 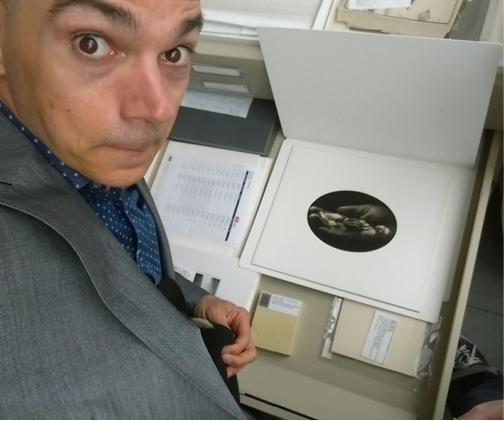 My wife is a photograph conservator, so I often get to see amazing original photographs by artists I admire. Being in the presence of these hand-made physical objects can give me a tangible connection to a person I have never met. Often when we are busy, we shed the passion projects or things that keep our minds and body energized. Hobbies and exercise are often the first to go. Being exposed to new things and ideas can’t help but bring passion into other areas of what you do. 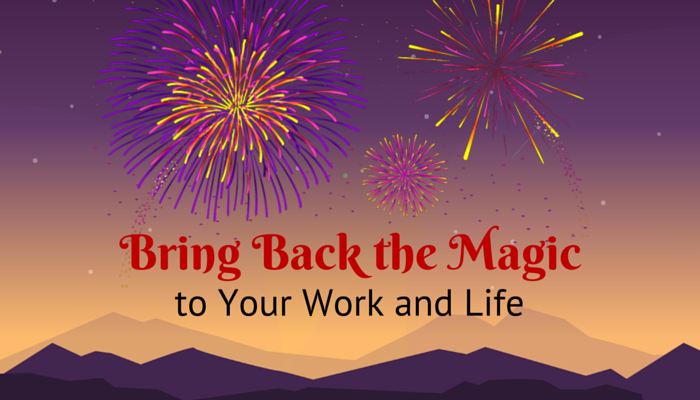 Taking effort to spend time on things outside your profession can inject energy and vibrancy into your work. That’s why I am active on Instagram. It keeps me connected to one of my former passions in a low-stress, fun way. Technology has made it very hard to have quiet time in our brains. Constant stimulation has made it hard to fully shut down, do nothing, or experience some good old fashioned boredom. Creativity and inspiration arise from space and time out. There is an amazing Ted Talk on the power of taking time out, by designer Stefan Sagmeister, who every few years, closes his business and takes an entire year off to recharge creatively. You probably can’t take a year off, but it can be helpful to schedule down time, turn your phone off and enjoy doing nothing, or doing something simply for enjoyment. Personally, I like to get outside. Even though I live in a huge city, I can walk just a few blocks and end up in the woods. By simply focusing on the cycles of nature I can ‘recharge my batteries’ and go back to work with increased focus and energy. So, whenever you feel impending burnout, it’s crucial to remember why you do what you do, go outside of your profession for inspiration and take some time to unplug. In my experience, when I ‘hit the wall’ and am just not productive, I have to give myself permission to simply STOP WORKING. By taking the time to recharge and refresh, I’m more quickly able to get back to work. When I do, I find that work comes easier and yields better results. Now, if you’ll excuse me, I have to go stare at trees.